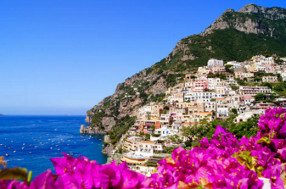 Book now the best shore excursions in Sorrento. High quality and safety at the lowest prices. If your are looking for Shore Excursion Sorrento, book now the best guided tours at lowest price with Ancora Tours. Since 2003 we offer you official guides in english, transportation and travel insurance, all included. The highest quality at the lowest rates. It’s impossible not to fall in love with Sorrento, the city of limoncello. Take our shore excursion and see for yourself; the view of the blue sea stretching outwards, colourful and charming houses, and the scent of lemon in the air. What’s eating: Silky and creamy Buffalo mozzarella, the Sorrentino people are experts cheese-makers. Souvenir: Handmade local pottery decorated with Sorrento lemons. This fruit is the pride and joy of the area. Our Shore Excursion Sorrento begins in Piazza Tasso where we’ll meet the guide. From there our walking tour begins. Lets start by visiting the Church of San Felice and Baccolo, also known as the Church of the Rosary. Inside are the relics of Baculus, a bishop of Sorrento who is thought to have lived in the 7th century. We’ll see Palazzo Correale and the Cloister of St. Francis, followed by the monumental building ‘Sedile Dominova’ which once belonged to the noble families of Sorrento. Our time in Sorrento will conclude with a visit to the ancient Roman walls and perhaps a refreshing glass of Limoncello.